Today's #TBT recipe is not actually an old family recipe. I actually got this recipe from Pinterest, but did adapt it a little for our tastes and what I had on hand. So are you wondering why I am not doing a throwback recipe? Well, I thought I would switch things up a bit. What is throwback is the act of making the pie. In my family we would make a day of it and get together making pies to freeze. 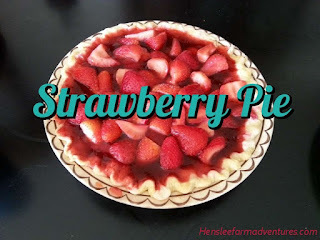 When I was little, my grandmother and mom would always spend a day together during the summer making pies to put in the freezer for the winter. It was usually during a time that we had fruit harvested from our trees. At the time, between my parents and grandparents we had access to apple trees, peach trees, pear trees, and cherry trees. 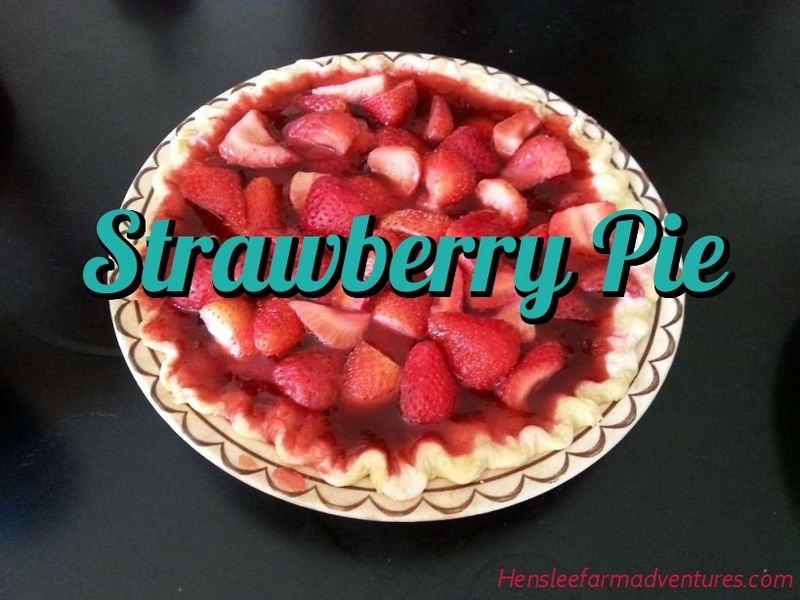 We would spend one day picking, another day preparing the fruit, and then the third would be pie making day. The pears were the only fruit that we did not make pies out of. We either ate those right off the tree, or they would be canned to enjoy "as the snow flies" like my grandma would always say. I loved these days and have great memories from them. As soon as I was old enough, I would help them with the pies. I loved to help roll out the dough and I loved to hear stories that they would tell about when my mom was a little girl. My sister and I got together and made strawberry preserves one day and we had some strawberries left over. So I thought it would be great to make a couple of pies. Since this is a one crust pie, I made one recipe of my Mom's Blue Ribbon Pie Crust recipe, put it in the pie dishes and baked for about 10 minutes. Then we added strawberries, and made the gelatin syrup to go over the strawberries. After that, all you have to do is chill the pie, and then enjoy! You can watch the YouTube video. Or you can print out the adapted recipe HERE. The original recipe can be found at With a Grateful Prayer and a Thankful Heart.